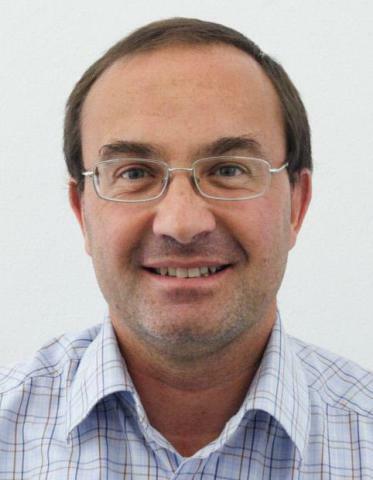 Michele Zorzi was born in 1966, and has been a Professor of Telecommunications at the School of Engineering of the University of Padova since 2003. He received the Laurea Degree and the Ph.D. in Electrical Engineering from the University of Padova, Italy, in 1990 and 1994, respectively. Prior to his current appointment, he was a faculty member at the Politecnico di Milano (1993-1996), a Research Scientist at the Center for Wireless Communications, University of California at San Diego (1995-1998), and an Associate Professor (1998-2000) and then Professor (2000-2003) at the University of Ferrara. He has many international contacts and collaborations, and has been PI or co-PI of numerous research projects, both in Europe and in the US. His research is focused on the field of wireless communications and networking, and has resulted in more than 600 papers in refereed journals and international conferences. His work has received a total of more than 20000 citations, and his most cited paper has been referenced 1639 times. He has 48 papers with more than 100 citations, and an h-index of 71 (source: Google Scholar, 05 July 2018). He received five best paper awards in the past 10 years, including the prestigious IEEE Communications Society Best Tutorial Paper Award in 2008 and IEEE Communications Society Stephen O. Rice Best Paper Award in 2018, and has been invited several time as a keynote speaker or a panelist. He is coauthor of four patents and is co-founder of two start-up companies, one of which was successfully acquired. He has been guest editor for many special issues in IEEE journals and magazines, has been involved in organizing international conferences, including TPC Chair for ACM MobiCom01, IEEE SECON 2006, ACM WUWNET 2007, and has served on the TPC of more than 50 conferences. He has served as an editor or guest editor for numerous international journals, including the IEEE Transactions on Wireless Communications, the IEEE Transactions on Mobile Computing, the IEEE Journal on Selected Area in Communications, ACM Wireless Networks, Wiley's Journal on Wireless Communications and Mobile Computing, and the IEEE Network magazine. From Jan. 2003 to Dec. 2005 he was the Editor-in-Chief of the IEEE Wireless Communications Magazine, and from Jan. 2008 to Dec. 2011 he was the Editor-in-Chief of the IEEE Transactions on Communications, and since Aug. 2014 has been the founding Editor-in-Chief of the IEEE Transactions on Cognitive Communications and Networking. From Jan. 2009 to Dec. 2011 he served as Member-at-Large in the Board of Governors of the IEEE Communications Society, and in 2012-2013 served as Member-at-Large in the Publications Council of the same society. He is a Fellow of the IEEE. Michele Zorzi has been PI of co-PI for more than ten EU funded projects, as well as more than 20 other projects funded by different funding agencies and industrial companies (total funding raised in the past 10 years: ~8 MEur).